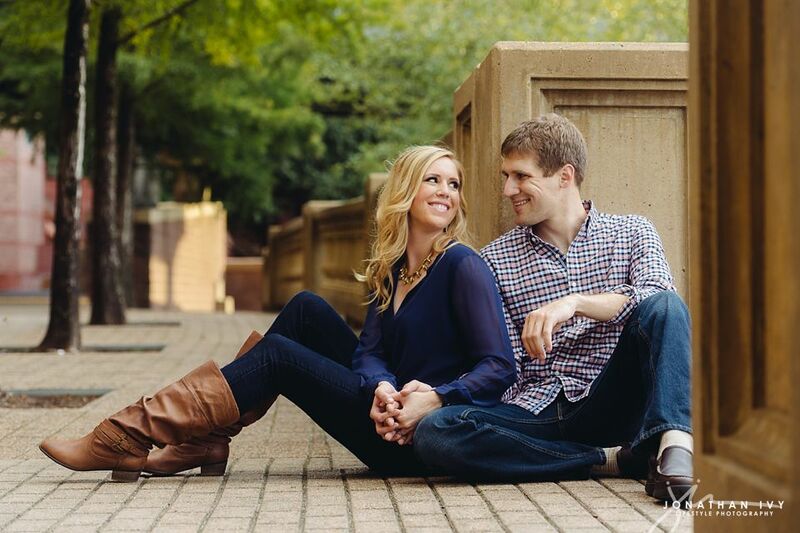 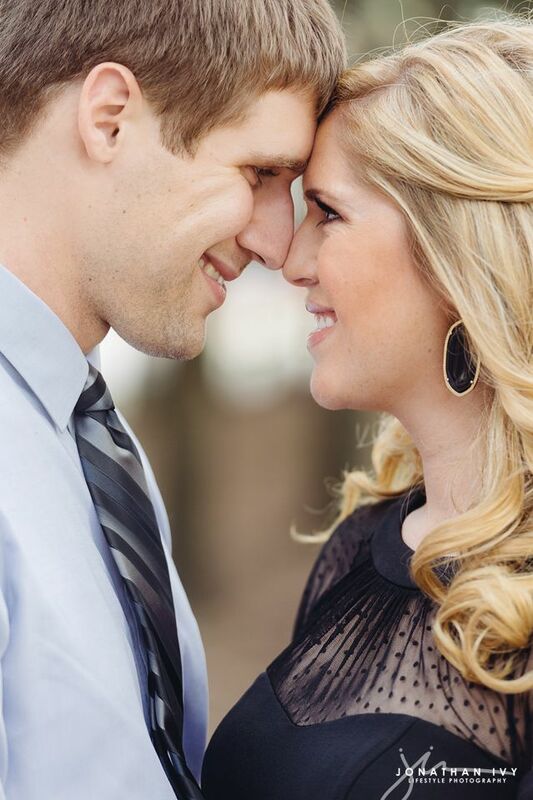 I am simply loving this sweet engagement session! 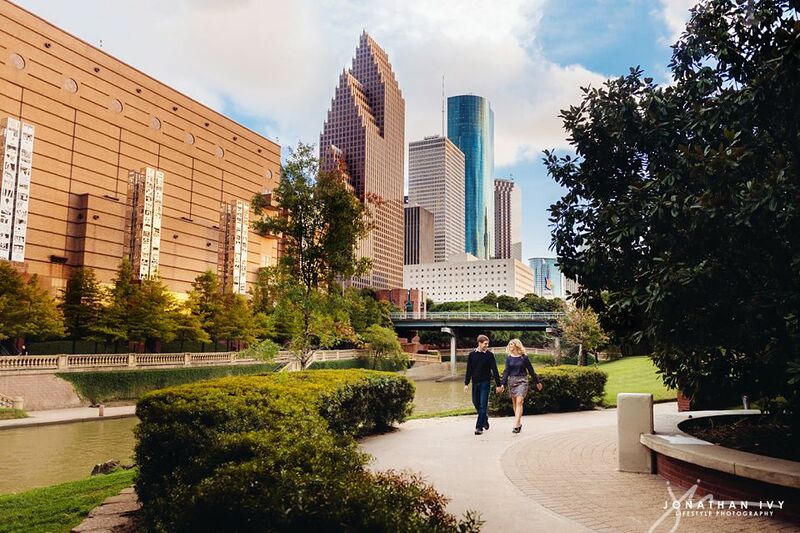 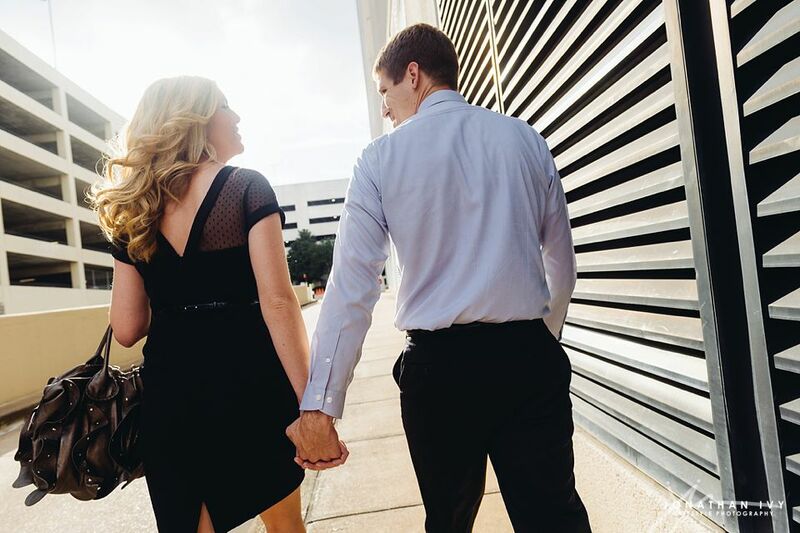 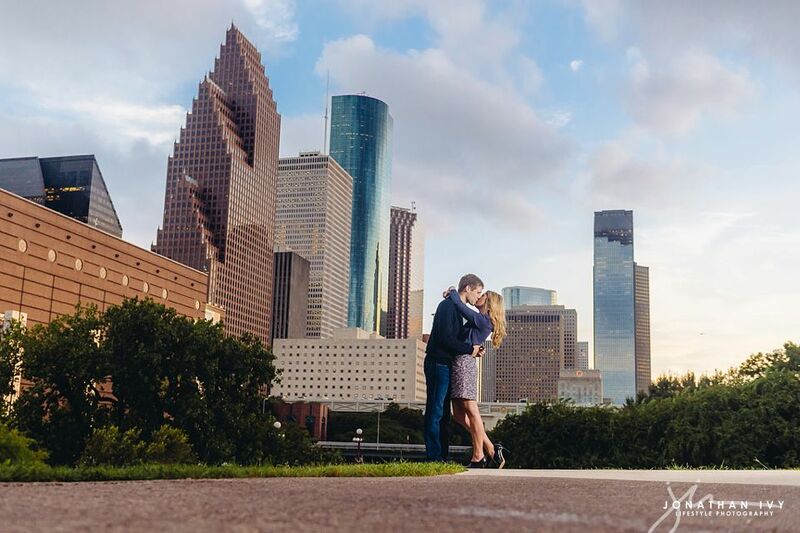 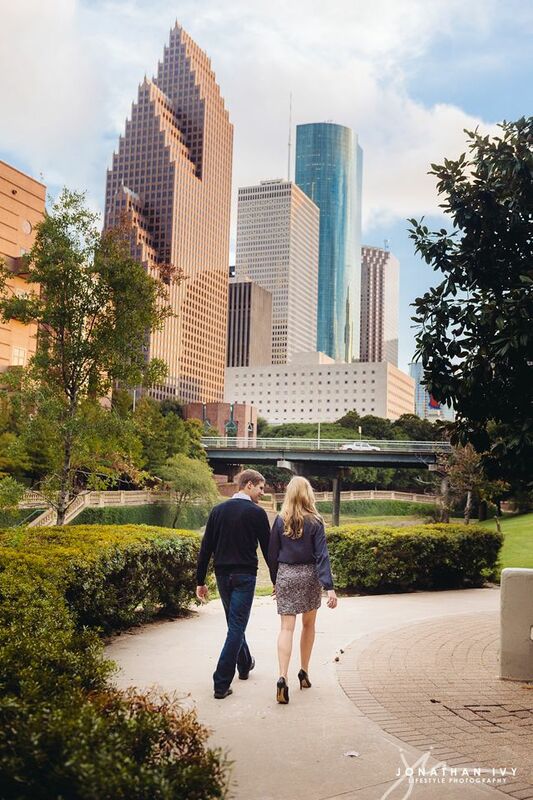 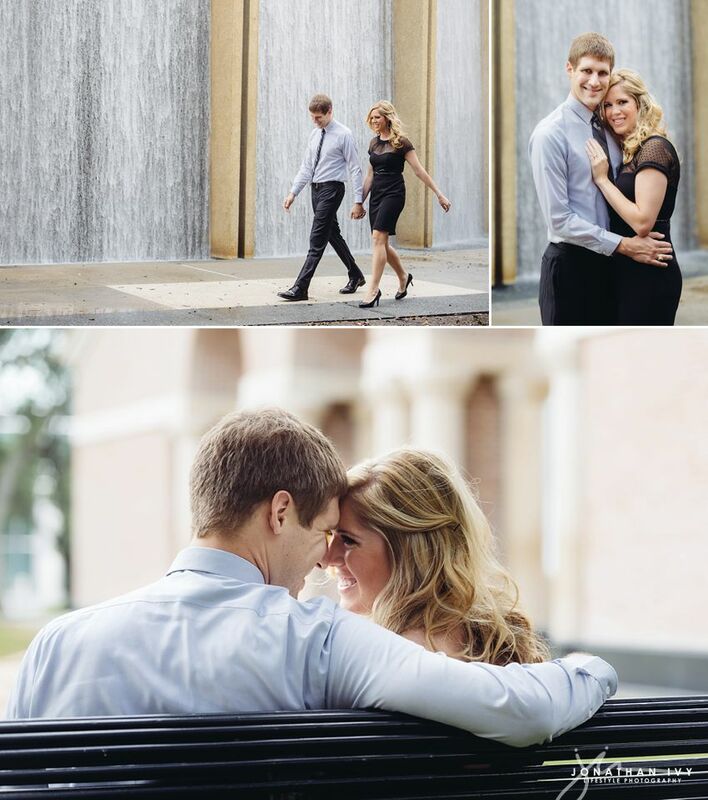 Jonathan met up with Scott and Kendal at the water wall in Houston to capture these gorgeous images. 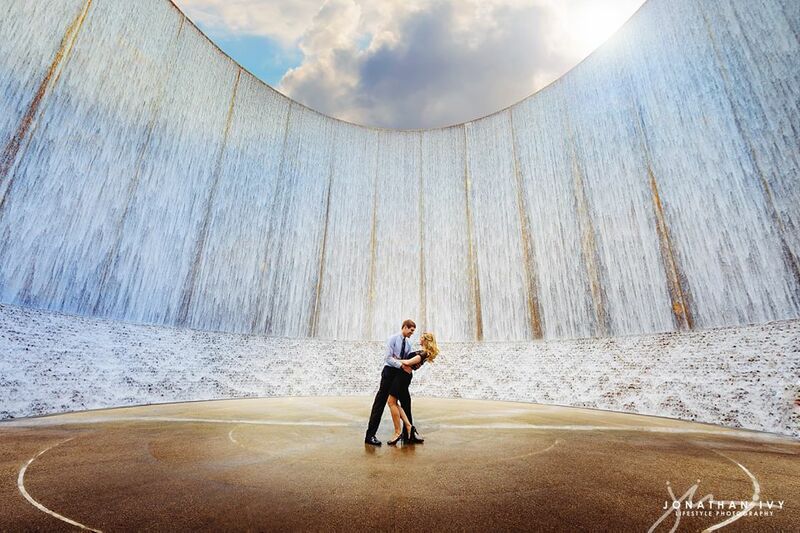 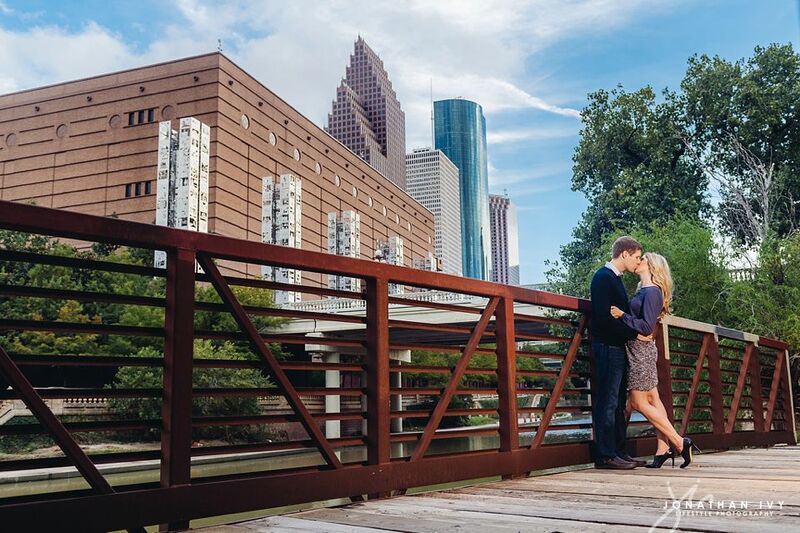 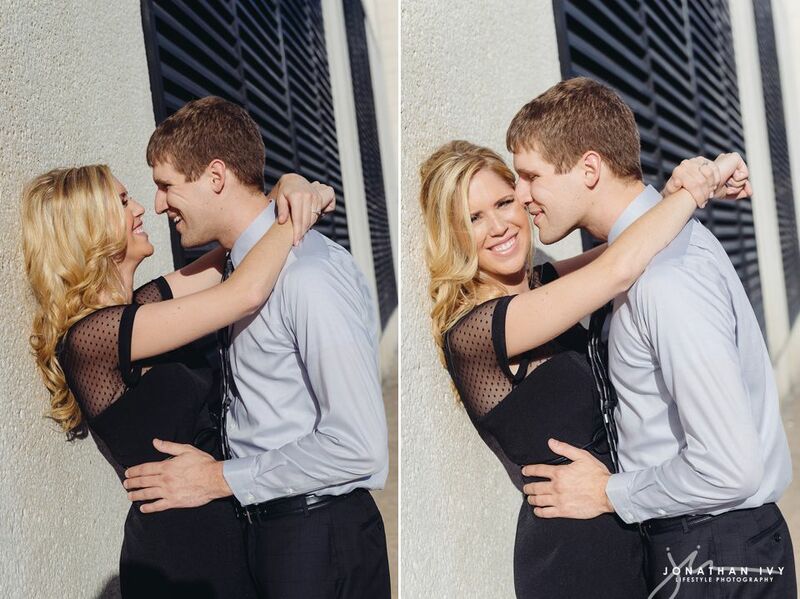 They captured some stunning images at the water wall then headed out to capture some city chic engagements down the road. 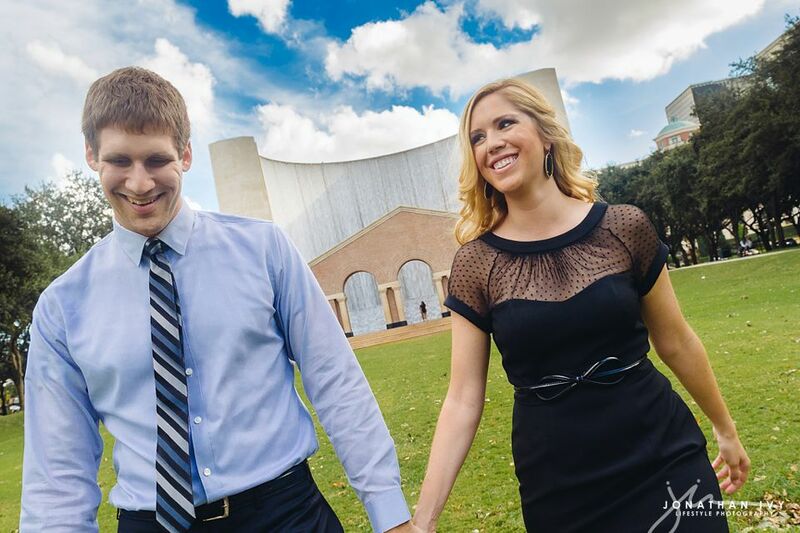 Can I just say they did a great job with outfits. 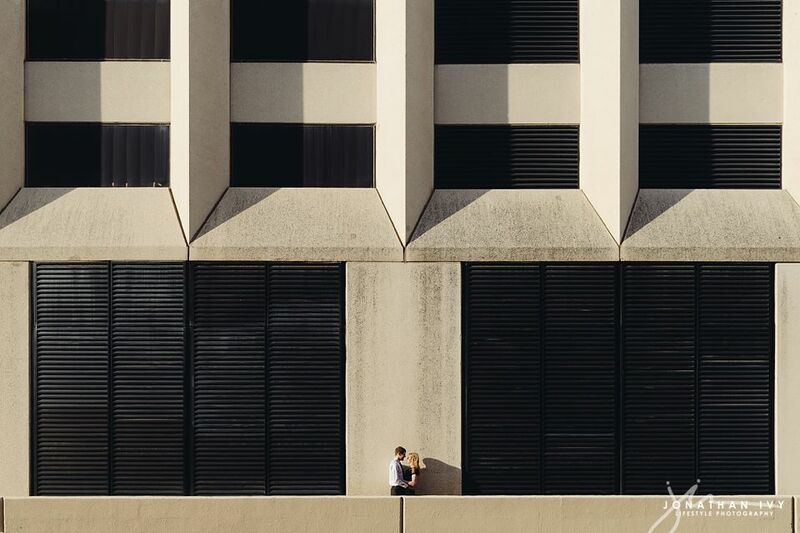 Perfect coordination with each other and their location. 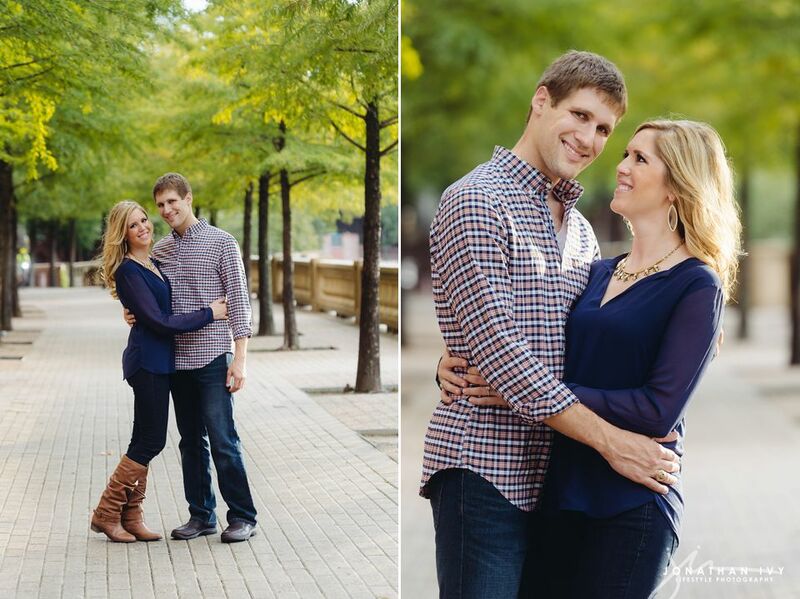 Thank you for coming to hang out with us and allowing Jonathan to capture you two! 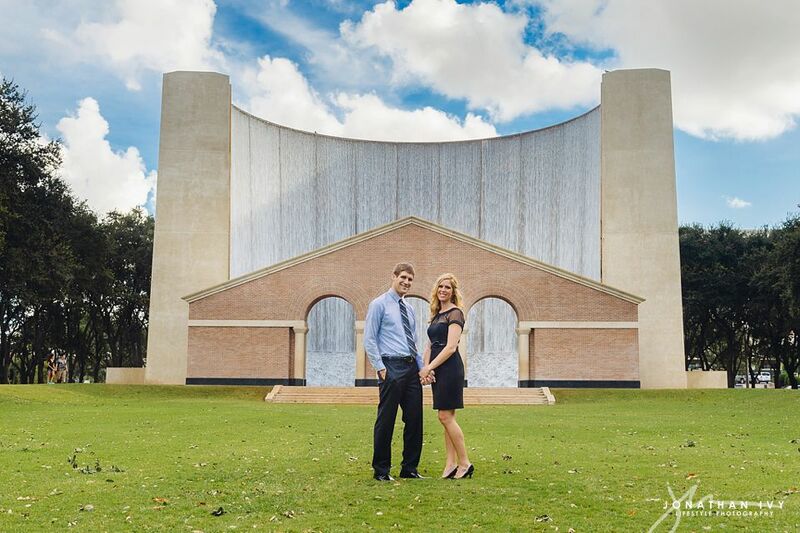 Y’all are gorgeous!